Interested in tennis? 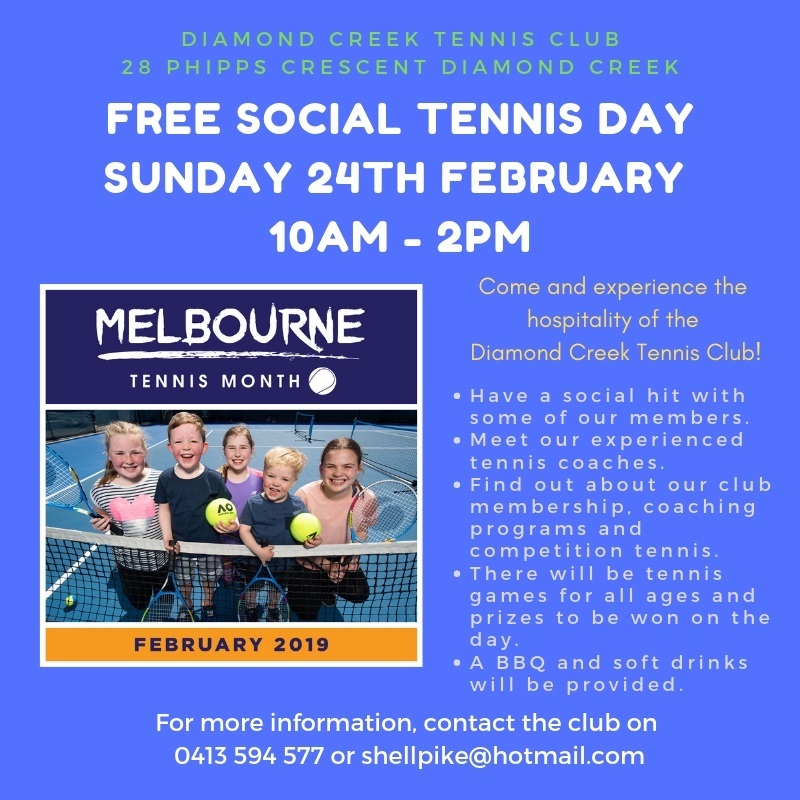 Come and join us at Diamond Creek Tennis Club for our free Social Day as part of Melbourne Tennis Month. Come down and enjoy a sausage at the Eltham Bunnings store on Saturday 12 January 2019.